SLS was founded in Michigan in 1982. SLS supports students and schools. SLS trains students in school-based health initiatives. SLS recognizes the harmful effects of alcohol and other drugs by underage students. SLS believes that students have a voice and make a difference. 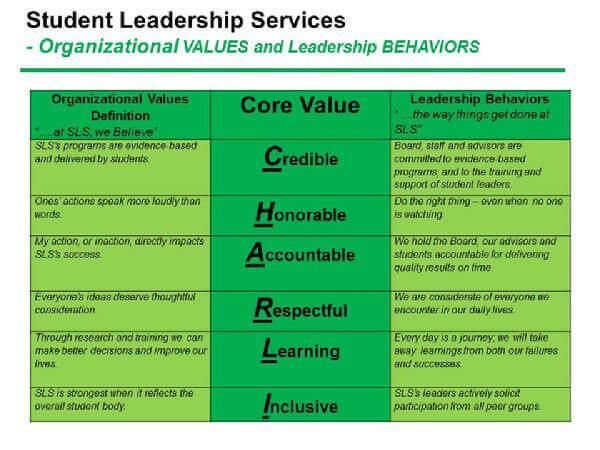 Student Leadership Services is a non-profit dedicated to ensuring our youth remain safe, healthy, and alcohol and drug free. 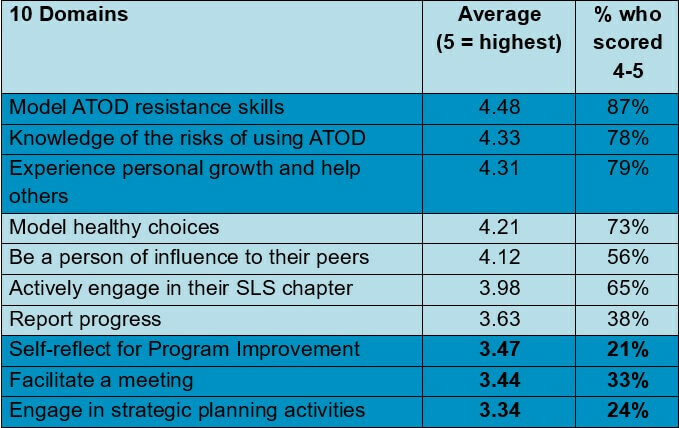 SLS accomplishes this through innovative and evidence-based prevention programs within student-led, adult-supported chapters. Every student can be a positive leader in changing thoughts and challenging behaviors. The long range goal of SLS is to develop student-led SLS Chapters to scale in all Michigan high schools. 2014 NASADAD National Exemplary Award for Innovative Substance Abuse Prevention Programs, Practices, and Policies. 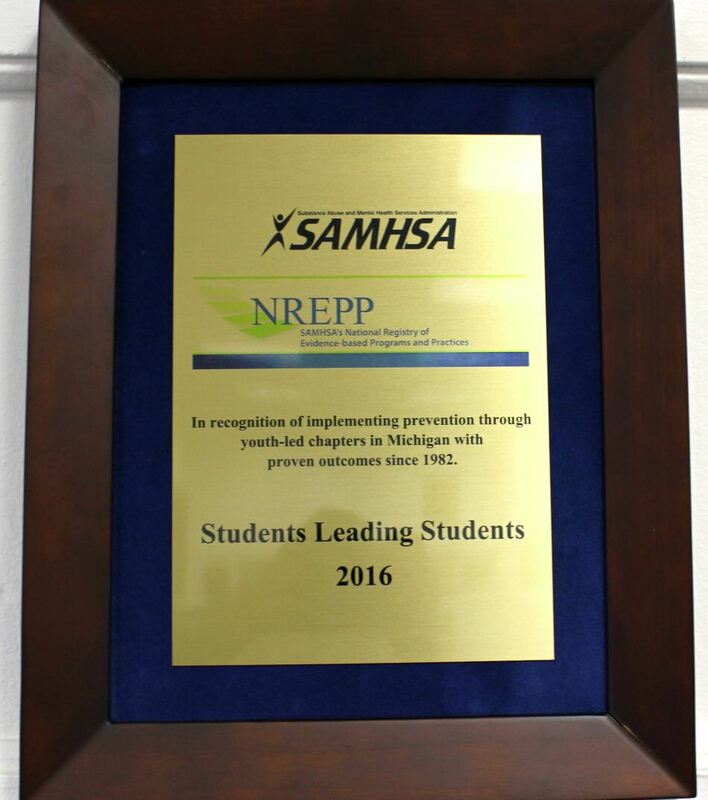 Research supported by SAMHSA’s Service to Science and Enhancement Awards were key factors in SLS national recognition.